Ask fellow campers about "Cal-Nev-Ari RV Park" and nearby attractions. The woman who checked us in made it seem like we were a bother to her by coming in to the office/store. The sites are ok and everything worked. Most of the best view sites are filled with run down trailers being used by permanent residents. The place has the feel of going downhill. We camped at Cal-Nev-Ari RV Park in a Motorhome. Level, large sites, easy in and out. Arrogant and unfriendly clerk in the store, where one goes to pay. Passport America discount in not good if store is closed, which it was at 3:30 p.m, on a Sunday. We camped at Cal-Nev-Ari RV Park in a Motorhome. Lots of room to pull off the Hwy. and check-in at the store. Easy in/out of spaces and good visibility to the Hwy. Utilities worked as they should. 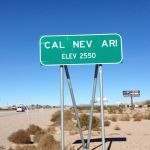 I've stayed 2 times so far and will stop at Cal-Nev-Ari next time I'm in the area. We camped at Cal-Nev-Ari RV Park in a Travel Trailer. Spacious sites, easy in and out. Sites well landscaped. This park is an excellent find in the middle of nowhere. Worth going out of the way to stay here. We camped at Cal-Nev-Ari RV Park in a Motorhome. Very pleasantly surprised with this place! Very basic but oleander hedges between campsites afford privacy. Owners very nice. The office is closed on Sunday so arrangements need to be made for payment. Convenient location, all pull-throughs. By a convenience store. There is a casino and restaurant across the street but didn't use. They were very fussy about dog breeds, so be aware. We camped at Cal-Nev-Ari RV Park in a Motorhome. Just one more of our many stays at this convenient park. Pay at the store or at the Casino across the highway if the store is closed. A no stress park in and out and quiet at night. One of our favorite parks. Usually lots of choices of a pull-through site to pick from. We camped at Cal-Nev-Ari RV Park in a Motorhome. Great no-frills park. The sites are dirt, but neat. Never seen any trash blowing around, the times I've stayed here. Office hours are limited. Shower stalls are on the small side, but OK. We camped at Cal-Nev-Ari RV Park in a Travel Trailer. Restaurant and casino nearby. 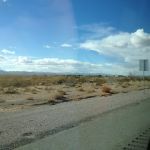 Otherwise, there is not a lot to do here, unless you want to explore the desert parts of Lake Mead. Personally, I enjoy sitting out at night, watching the lights of passing traffic and listening for the whistle of a train or the howl of a coyote. Sites are separated by a tree and shrubs. Site was short, but I was able to squeeze in without having to unhook. Park is just off hwy 95, but you are far enough back from it. This is one of my favorite stops. Nothing spectacular about this park, just a clean, spacious, easy in easy out park on our way north. We have stayed several times over the years and the only caveat is to call before 4:30 PM. If arriving later then that, she tells you to get a site and stop in and pay in the morning. We camped at Cal-Nev-Ari RV Park in a Motorhome. My evaluation is for an overnight stay enroute home. This place is a great value. We did laundry in their very clean machines and checked out their very nice bathroom/shower facilities but didn't use them. There are some decrepit permanent trailers in the front section but the area is well policed and hidden by shrubs. All the transient sites are pull through. The utility posts are clean, well maintained and embedded in small concrete pads. All the sites appear to be very level gravel and the sight out the front of the rig is beautiful. There's no WiFi but that's not a biggie for us. There weren't many others in the CG but it could get a bit tight when it's full. Access into and out of the CG is easy. It's only a 9 because it's not the best overnight CG we've stayed at but it's pretty close. We camped at Cal-Nev-Ari RV Park in a Motorhome. We have stopped here before and as other reviews have stated, not fancy, but it is clean with long sites and wide streets for swing room. Power, water and electric all work well and are conveniently located. We called ahead because they close at 4:45 and the lady gave us a site number and said to check with her in the morning. We camped at Cal-Nev-Ari RV Park in a Motorhome. The place is nothing fancy, but it is dependable, and it won't cost you a fortune like some other places might. There is no pool, and no other amenities that I know of, but it is a good place to stay for a night. We camped at Cal-Nev-Ari RV Park in a Travel Trailer. All gravel sites with tables, full hookup with 15A-30A-50A. The office closes at 4:30pmso be sure to call ahead for instructions and site number. They require $5 deposit for restroom key. Casino across the street opens 24/7 but restaurant closes at 4:30pm. Owners report business is down drastically since the Colorado river bridge at Boulder opened. Call ahead to make sure still in business as the CG was not heavily populated. No Wi-Fi but T-Mobile cell service worked on 3G. Store on site was not well stocked reflecting weak business. We camped at Cal-Nev-Ari RV Park in a Motorhome. Although there are no amenities like a pool (we don't care about amenities even for long term stays anyway) this is a great place to stop overnight. Sites are big enough and ours was very level. Has 4 bars of Verizon 3G signal strength. Our site was on the row farthest from the highway and with the windows closed we didn't hear any traffic noise to speak of. There is a casino and restaurant across the highway. We didn't go over so can't rate them. We camped at Cal-Nev-Ari RV Park in a Motorhome. Real nice no-frills park. Large, level, gravel spaces with lots of space to maneuver. Great hookups. All 75 spaces are pull-through. 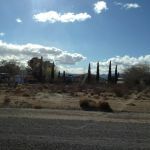 Casino across the street and Searchlight, NV is only 10 miles away with more casinos and restaurants. Can't beat this place for $18.00($19.20 w/tax). Have paid double for way less at other parks. Great place for one or two days or even a week. We camped at Cal-Nev-Ari RV Park in a Fifth Wheel. Great stopping off point on way to or from Vegas. Friendly staff, nice long pull throughs, good reliable power. Would stay here again without any hesitation. We camped at Cal-Nev-Ari RV Park in a Motorhome. Restaurant and casino nearby. Otherwise, there is not a lot to do here, unless you want to explore the desert parts of Lake Mead. Personally, I enjoy sitting out at night, watching the lights of passing traffic and listening for the whistle of a train or the howl of a coyote. Sites are separated by a tree and shrubs. Site was short, but I was able to squeeze in without having to unhook. Park is just off hwy 95, but you are far enough back from it. This is one of my favorite stops. Are you affiliated with Cal-Nev-Ari RV Park ?